Go to the Reports section and click on the Transactions tab. Type the name or email address of the supporter in the Search bar to find the transaction, then click Search. 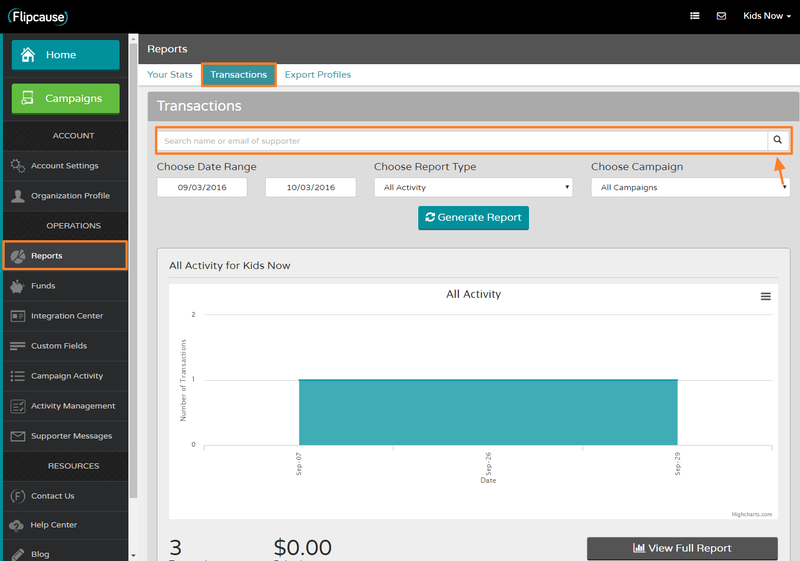 Scroll down to the list of transaction results below the graph to locate the specific transaction you're looking for. Click on Details to the right of the transaction. 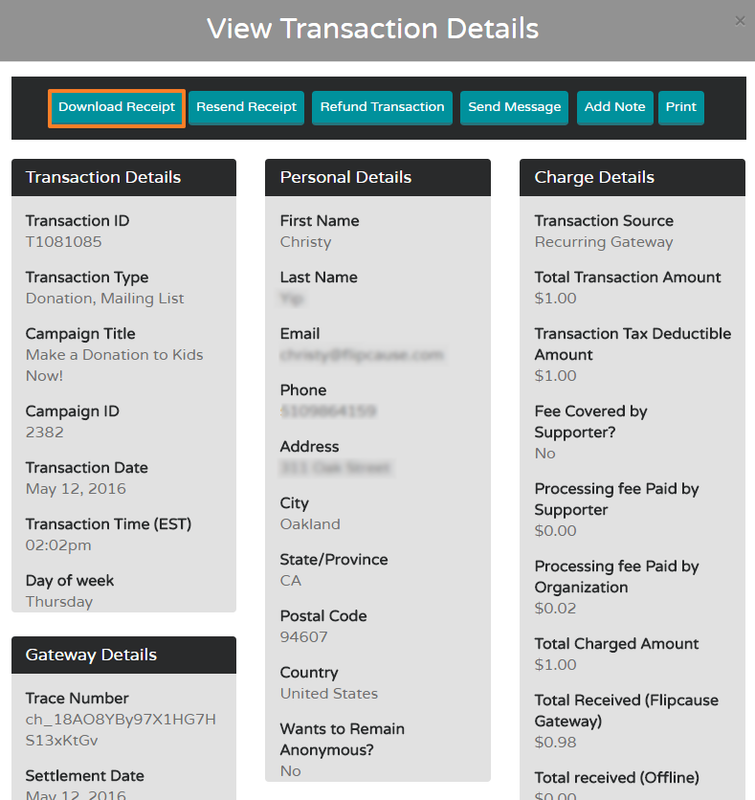 Select Download Receipt at the top of the View Transaction Details window. A PDF of the receipt will open in a new window. Save the PDF to your computer.